Some time in January, a fight broke out in a Colorado bar. Not the kind of scene where you’d expect to find a four-year-old child. Yet, there she is in the video as her father holds her with one hand and swinging punches with the other. The police of Jefferson County, Colorado have launched an investigation after the brutal bar fight left one man being airlifted to the nearest hospital. 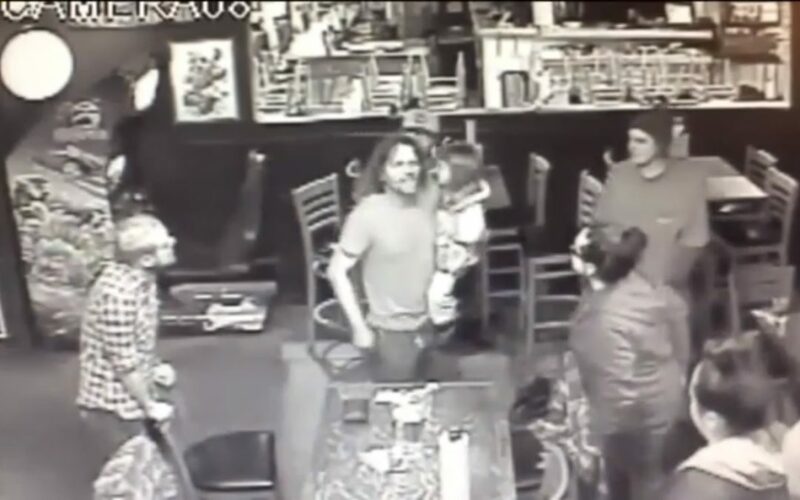 Just out of curiosity… Who would bring his four-year-old daughter into a bar, let alone get into a fight while holding her? Image: Security cam footage before the bar fight broke out. During the video, which was recently released by police, you can clearly see 39-year old Richard Brown yelling at a group of men. The fight happened at Crossroads Pizza and Wings in Pine on January 25, 2018. Brown is still clearly holding onto his daughter when one of the other men back hands him in the face. Instead of taking his four-year-old daughter to safety, Brown punches the man in the face. “I mean, it just keeps going. It was horrifying and I think that part of why it happened so badly, he was just hanging onto the kid.” According to Wendy he carries his daughter everywhere. Doing that is what put her in danger at the bar. She seemed truly horrified he never took her to safety. 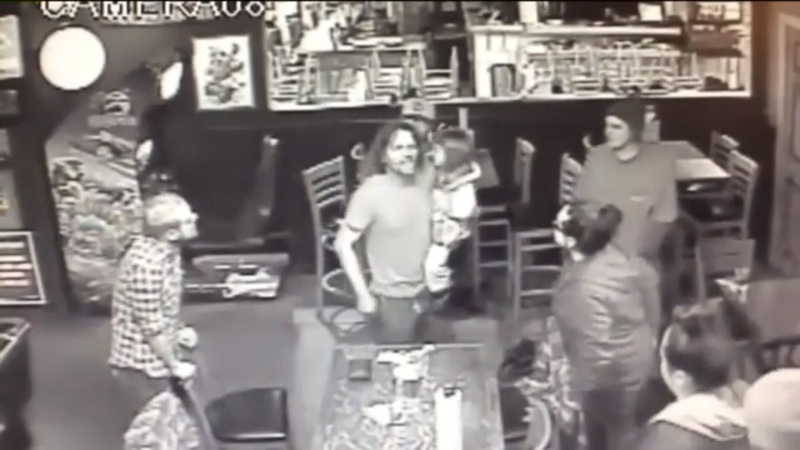 Thankfully, someone in the bar grabbed the little girl and pulled her out of Brown’s arms. Once the four-year-old was pulled away to safety, the fight became a free-for-all. A couple of punches were made before Brown clearly staggered and fell to the floor. The other men continued to punch and kick him, one going so far as to kick him in the head. Brown is now facing child endangerment according to FOX 31. The police stated that he had multiply chances to get his child out of danger after the video was released. Richard Brown was then airlifted to the nearest hospital with serious bodily injuries and possible brain damage. Thankfully, his daughter was not injured. Joel Wilson, 31, was arrested in connection to the assault. He is facing charges of first-degree assault, extreme indifference, second-degree assault — serious bodily injury and child abuse. However, the video clearly shows another man the cops are looking for. The suspect hasn’t been named, but the police have given out what information they could to the public. They’re looking for a white man in his mid-20s, thin, and stands about 5-foot-8. If anyone in the area has any information, please contact the sheriff’s office at 303-271-5612 or Metro Denver Crime Stoppers at 720-913-7867. The Jefferson County Sheriff's Office released a surveillance video from a bar fight that happened on Jan. 25. A man was seen holding his 4-year-old daughter while two others beat him up. One of the suspects was arrested, the other is still on the loose. My report for Denver7.